The NHL free agency period has virtually become an annual event for teams to overpay on undeserving players. In the salary cap era, general managers have figured out the importance of re-signing their pending free agents before their contracts expire. As a result, the free agent class seems to be less impressive with each year that passes. With the same amount of demand for free agents, but less supply, the result is an overpayment to players who simply aren’t worth the money. How many examples can you find of free agents who signed lucrative contracts only to bought out by that team within a couple of years? Too many. Similarly, there’s been a slight decline in outrageous deals at the trade deadline because GM’s are realizing the risk far outweighs the reward. So as we head into 2017 NHL Free Agency within the next month, with the first deals for unrestricted free agents coming on July 1, we again look forward to a lackluster free agent class. 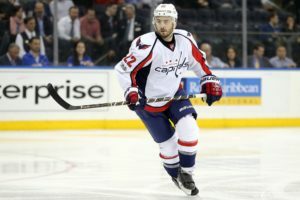 The consensus top free agents include the likes of Kevin Shattenkirk, T.J. Oshie and Alexander Radulov. All three players are deserving of greater contracts than they’ve previously received, but chances are they will be able to fetch more than one would expect. As per usual, there is also a group of players coming off of strong years or with overvalued attributes that may be paid appalling deals. These are the free agents teams must be most wary for. Age, consistency, and ability are all red flags with the following group. Previous Contract: 1 year at $1 million per. 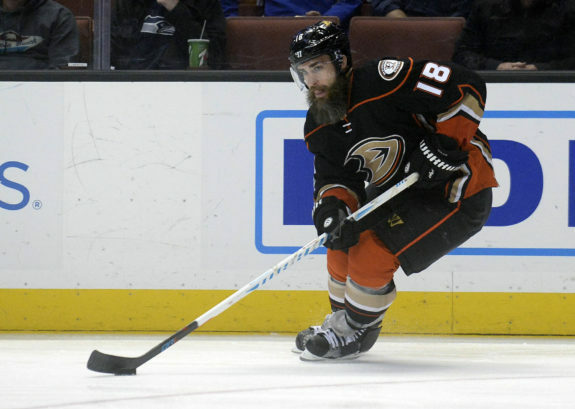 Patrick Eaves is coming off of a career year in which he set highs in both goals, 32, and points, 51. His previous best in goals was back in 2005-06 with the Ottawa Senators, his rookie campaign, when he potted 20. So, to say this year was likely an outlier for Eaves would be a bit of an understatement. As a result of his hot start with the Dallas Stars, a team who was clearly out of the playoff picture by the trade deadline, Eaves was traded to the Anaheim Ducks for what turned into a 2017 first-round pick, 29th overall. Certainly high value for a player who had never previously been regarded as a goal-scorer. In all other 11 seasons of Eaves’ 12-year career, his role was as a third or fourth line winger who grinds hard to earn possession of the puck. While his time on ice climbed to over 20 minutes on some nights this year, if you rewind back three years, Eaves averaged about 10 minutes per game. Although Eaves is certainly deserving of a raise as a result of his outstanding season, teams need to be wary not to overpay for a player who will very likely not be able to repeat. Consistency is key in the NHL, and goal-scoring is definitely not a consistent trait of Eaves’ game. But that is what teams will be paying him for after potting 32. Deserving Contract: 2 years at $2.5 million per. Predicted Contract: 2 years at $4 million per. Previous Contract: 5 years at $3.1 million per. Martin Hanzal continued his dominance in the face-off circle in 2016-17 while putting up offensive numbers good enough for a borderline second line center. However, considering Hanzal has been playing for a Coyotes team that struggles to score, he may have the potential to boost his output. At 30 years old, Hanzal certainly has the time left for some of his best seasons. 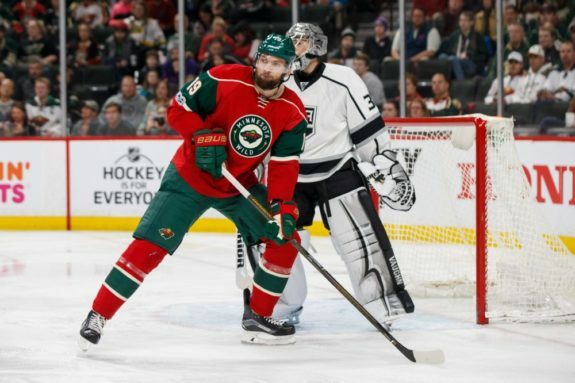 Due to Hanzal’s massive frame and face-off ability, he became a hot commodity as the trade deadline neared. In the end, he was dealt to the Minnesota Wild for, essentially, a 2017 first-round pick and a 2018 second-round pick. The Wild paid a hefty price in hopes of a boost for a long playoff long. It would mark the first time Hanzal would play outside of the Coyotes franchise. For the past four years, Hanzal has been among a premier category in face-off rates. However, he simply has not produced enough offensively to be considered a reliable point-producer. Over the past four years, Hanzal has played at a 19 goal, 49 point rate when pro-rated to an 82 game season. While Hanzal is undoubtedly an effective player who means a ton to his team, GMs across the league must reference the amount of money they are willing to fork over for the 30-year-old Czech. Considering all of the benefits, Hanzal values likewise to a decent second-line center. Deserving Contract: 3 years at $4.25 million per. Predicted Contract: 4 years at $5.5 million per. Previous Contract: 3 years at $5.75 million per. The 38-year-old has yet to show many signs of slowing down, and heading into free agency, it’s hard to see him leaving the Canadiens after 16 strong years. Markov continued to play an essential role on Montreal’s blue line this year, averaging 21:50 minutes a night in the regular season before bumping that to 26:09 for the playoffs. Markov’s on-ice play certainly hasn’t hindered as time has passed, as his points per game rate has remained over 0.5 each season. Although his shot generation and suppression have both slowly declined, Markov has continued to play with the effectiveness of a second pairing defenceman. In any case, signing a player to a multi-year deal at the age of 38 is always risky business. There’s no telling when a player’s performance can suddenly drop, leaving a team with a hefty cap hit. 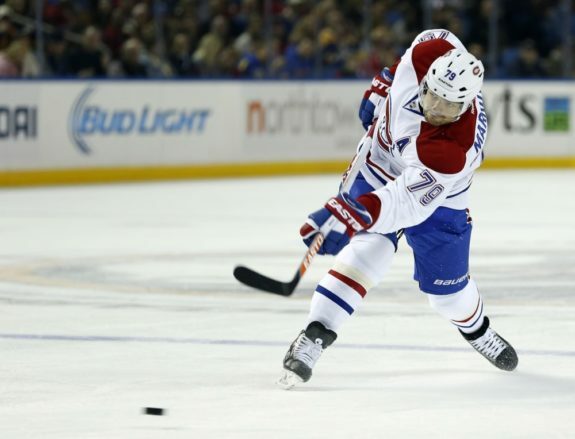 In this case though, that may not affect the Canadiens decision in trying to re-sign Markov. Markov has been signed to a $5.75M cap hit with Montreal for the past 10 years. The Habs have $23 million in cap space right now with a few key free agents to sign, so his cap hit may take a dip this offseason. With that said, it’s hard to imagine the Canadiens letting another team outbid them for Markov. Deserving Contract: 2 years at $4 million per. Predicted Contract: 3 years at $5 million per.